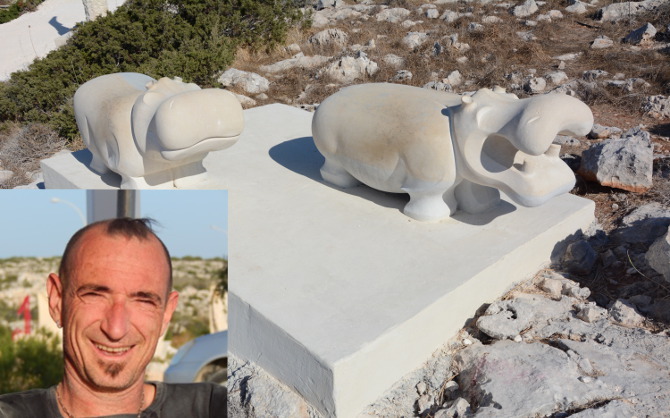 This artist was born in Nancy (France), is not just an animal sculptor, or a naturalist, but also one who analyses the quintessence of his subjects. His need for creating is obvious but the working drawing takes him quite a long and demanding time. Perfectionist and full of passion as he is, he sculpts in the finest marble, which is a heavy and inconvenient material. By dint of muscular and artistic power, he is cast away by a subtle, tridimensional process into the far reaching spheres of today’s artistic creations.